The CEDET building located in close proximity to the most important retail streets of the capital, close to luxurious hotels, restaurants and small cafes will revive the merchant traditions of the pre-war Warsaw. 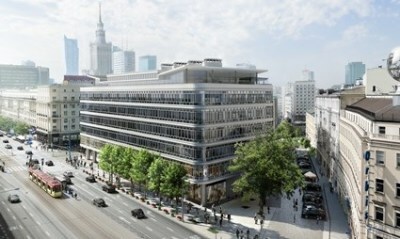 CEDET offers retail space available directly from the street in the best location in Warsaw: Krucza Street and Aleje Jerozolimskie, with their high intensity of pedestrian activity. Retail and services will be located on three levels of the building: -1, ground floor and +1. Combined retail and service space in the building will amount to 7 000 sq m. The tenants are offered modules of different size, starting from 67 sq m. Most of these units will be spread over two levels and connected internally with stairs, escalators or lifts.